Exciting personal apartment with lots of soul, charm and atmosphere.The apartment is within walking distance to downtown Belgrade. It has 2 bedrooms for 4 people, it can accommodate 6 persons. The apartment has balcony as well and in the courtyard there is a playground for children. Very bright and nice apartment located a short walk from the city center. The apartment has room for up to 6 persons. 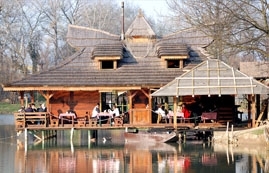 The location offers the option of enjoying the Belgrade city life or putting on your trainers and go for a jog around the beautiful river Sava located right at your doorstep. The apartment has a fantastic view over the Belgrade bridges. Charming apartment with unbeatable location! Much cheaper than staying at a hotel! With sleeping facilities for 4 people. Everything is included, towels, linen etc. Beautiful and renovated flat. Look out the window and watch the Knez Mihajlova street. This is a small and cozy apartment located on the sixth floor in a property with elevator, close to Belgrade Downtown and to public transportation. Sleeps 2 persons, in a warm and pleasant atmosphere. Good location for either going to the center or going out of town. This is a perfect flat for the couple, Studio Apartment, very well designed. This is a cheap way to live close to the city center. You will be close to the city center, being in walking distance from Belgrade Central Station. Cosy little apartment in the middle of Belgrade. Nice "Studio Apartment" with kitchen and bathroom with shower. You sleep in the living room on a bed/sofa. The Central Station is only 50 meters from the apartment. Small and charming apartment with view over the rooftops. Very close to Downtown, with its great shopping, but also close to Central Station. This apartment accommodates 2 persons. A nice place for a excellent price. Very nice apartment located a short walk from the city center. Comfortable and surprisingly great value for money this apartment will not disappoint. The location offers the option of enjoying the Belgrade city life or putting on your trainers and go for a jog around the beautiful river located right at your doorstep. A nice place for a excellent price. This apartment accommodates 2 persons. Small and charming apartment with view over the rooftops. Very close to Downtown, with its great shopping, but also close to Central Station. Прекрасное расположение, русскоговорящий очень гостеприимный хозяин, удобно, уютно, в апартаментах есть все, что нужно. Рекомендую апартаменты на ул. Балканска! Huge apartman with terrace, not luxury, but clean and excellent price/value ratio, staff is very helpful. Ideal for small group (3-4) or family. obrovské nově postavené čisté apartmá ve starém domě, vynikající poměr cena/výkon, všechny připomínky řešeny promptně k maximální spokojenosti. Pro skupinu přátel či rodinu ideální. Très bonne situation géographique en plein centre ville avec accès facile (bus, taxi,...). Bel appartement au 6ème étage (ascenseur jusqu'au 5ème étage), refait à neuf et bien équipé. Everything was just perfect and we almost wanted to move in!